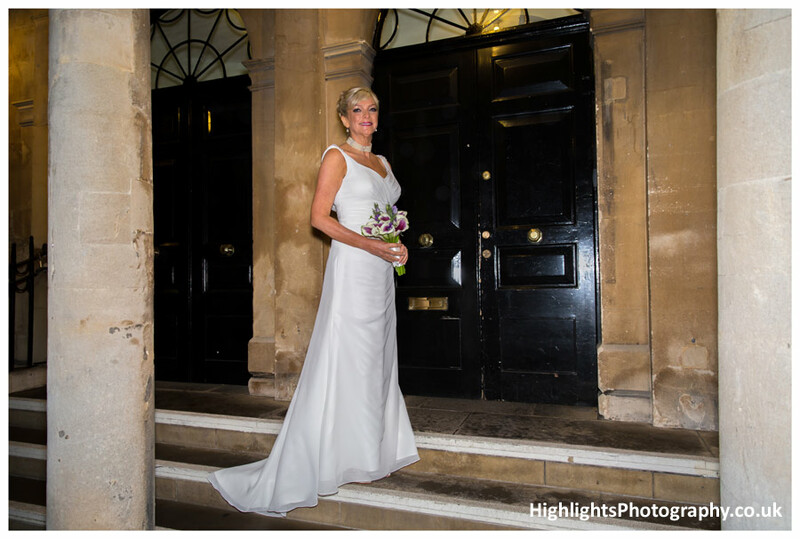 – Being a Bath wedding photographer, we know what a privilege it is for anyone getting married in Bath! 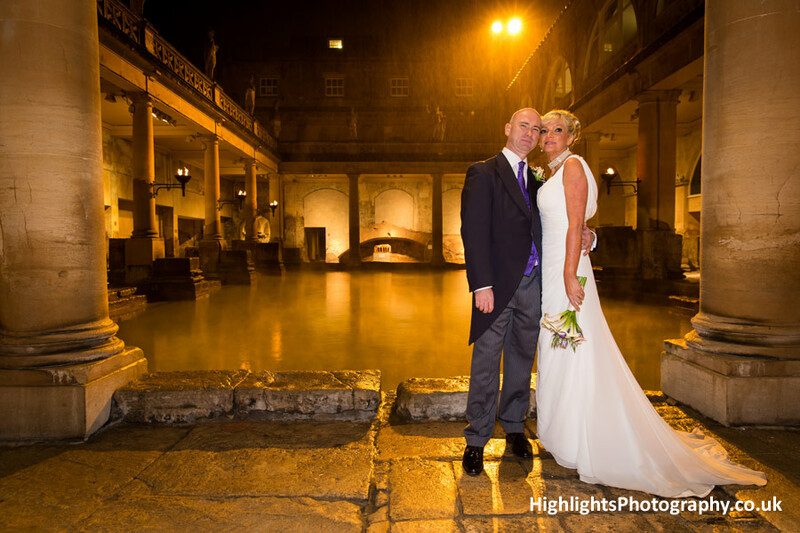 Fancy having a Roman Baths wedding? 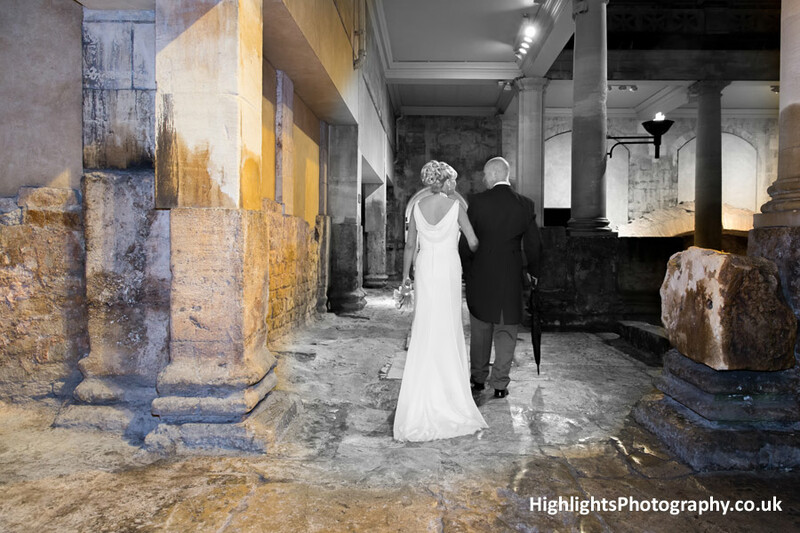 Well, the Roman Baths is situated in the heart of the City of Bath, in East Somerset and is one of the most romantic locations for any Bride and groom wanting to get married. 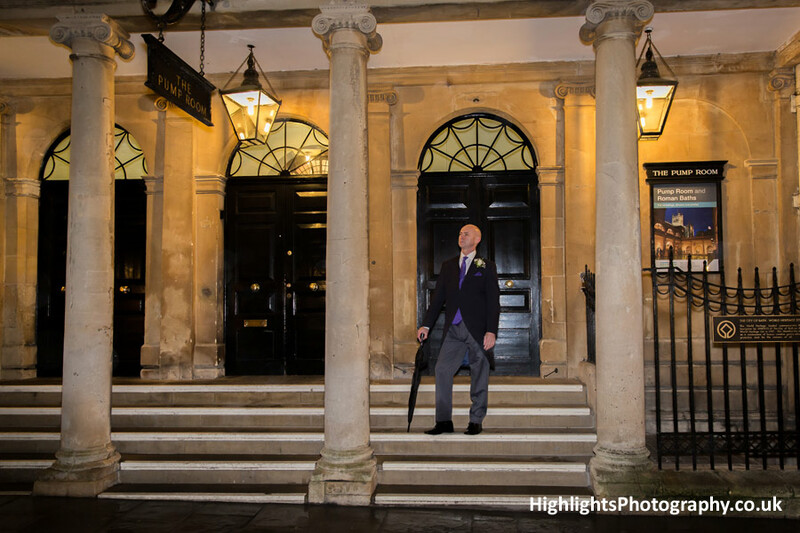 It was a mid-evening November wedding ceremony for our clients Natalie & Mark, so we arrived in the City of Bath with plenty of time to spare. 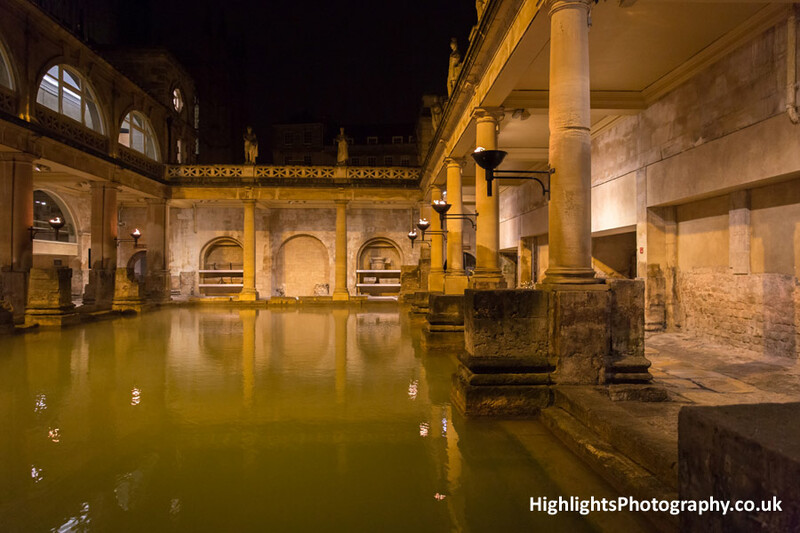 With a big threat of rain looming we had no worries, as the Great Bath is a massive pool, filled with hot spa water with a covered walkway all around it. 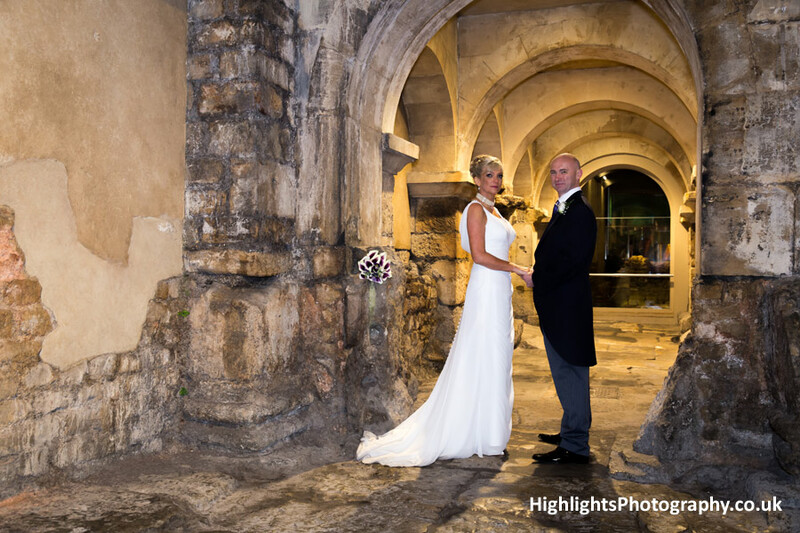 We first checked out the Bath wedding reception venue at the Roman Baths Kitchen where the evening wedding breakfast was being held. 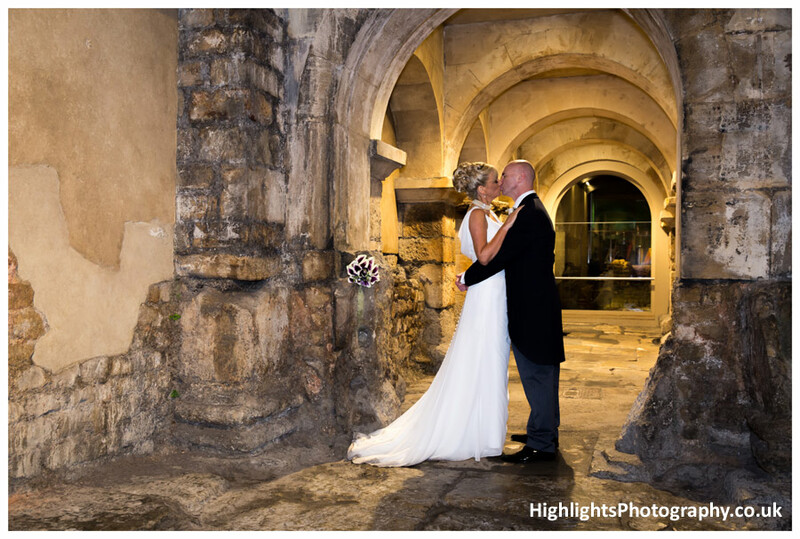 I have to say a wedding reception at Roman Baths Kitchen is awesome. 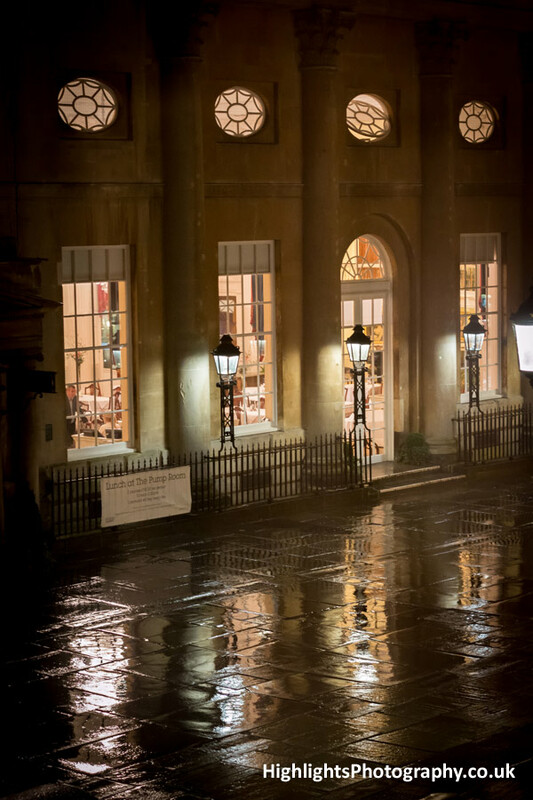 Upstairs is a simple bistro-style restaurant with plenty of character and views across to the neighbouring Bath Abbey and Pump Rooms. 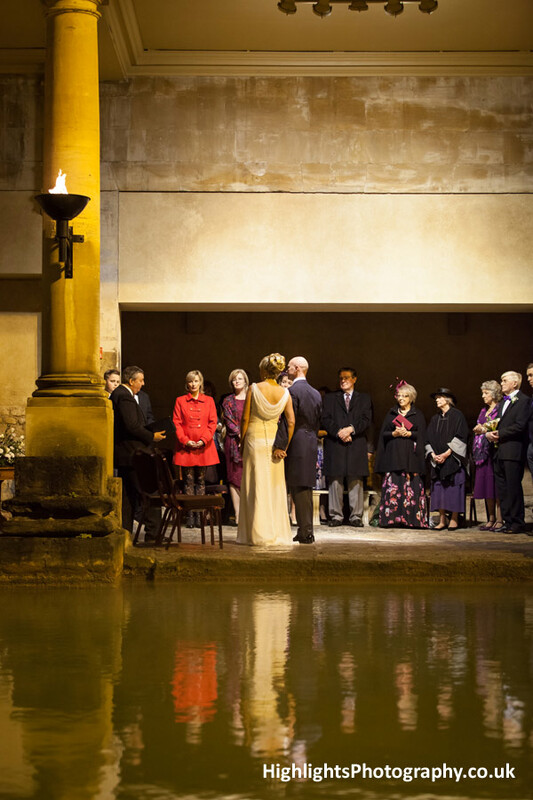 At 7.30pm prompt, the ceremony started within this atmospheric and memorable venue. 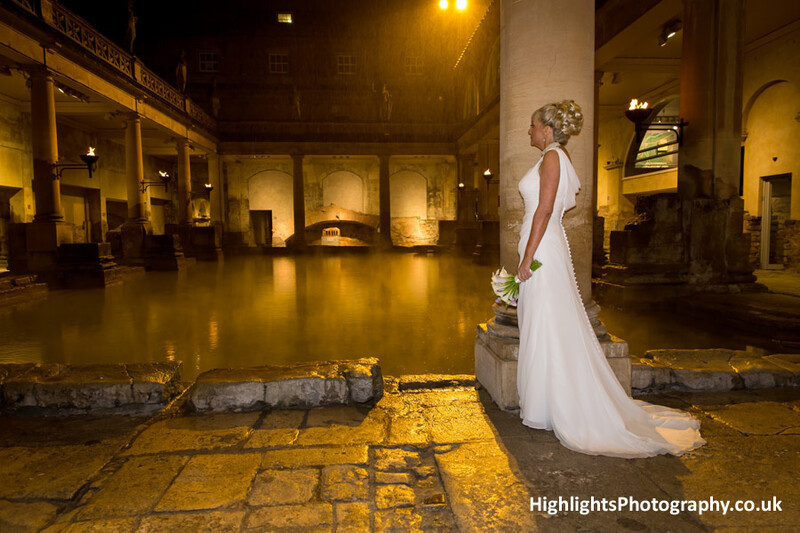 It’s amazing to think, 2000 years ago Romans walked around the steaming pool filled with hot spa water exactly where Natalie & Mark were getting married. 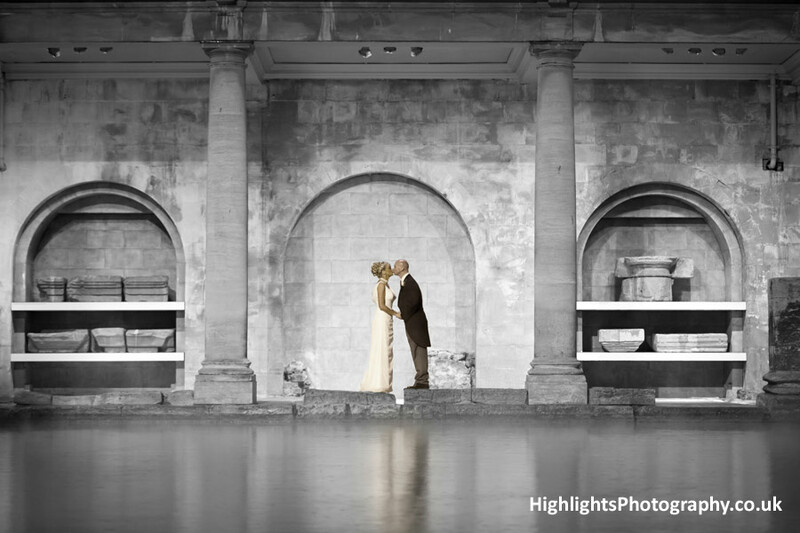 After the signing of the marriage certificates and group shots, we were able to take some lovely romantic photographs of the new bride and groom around the Great Bath. 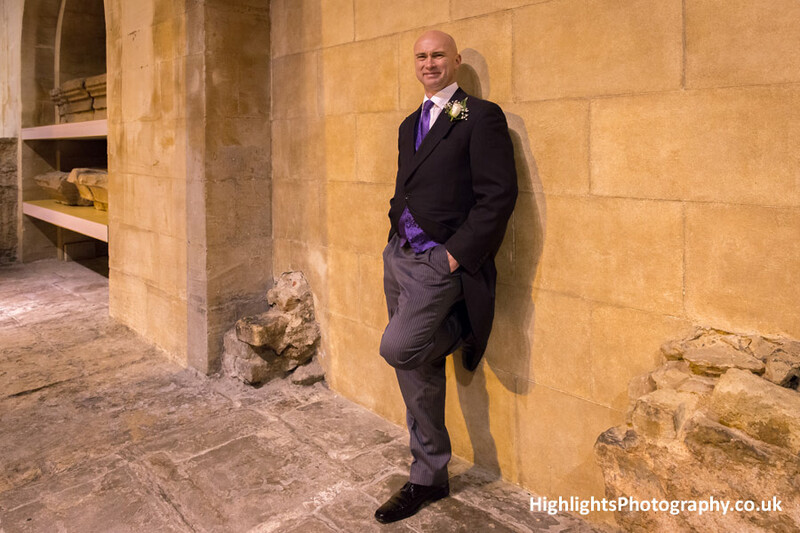 Liz and I often say, it is always an honour and a privilege to be chosen to photograph any wedding or event, whether it be large or small. 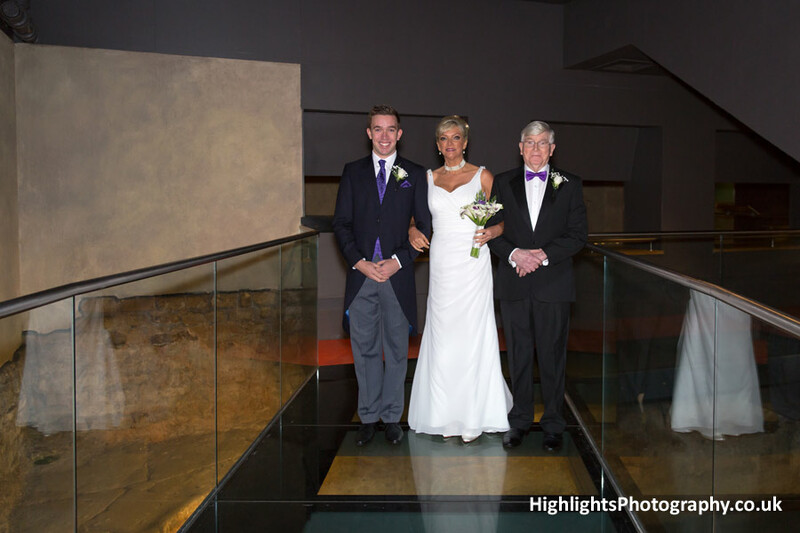 With laughter and smiling faces, what a fantastic evening. 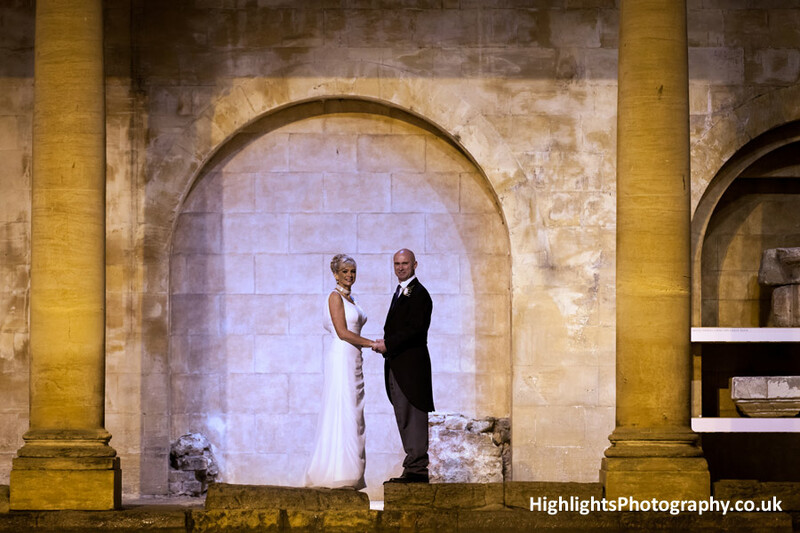 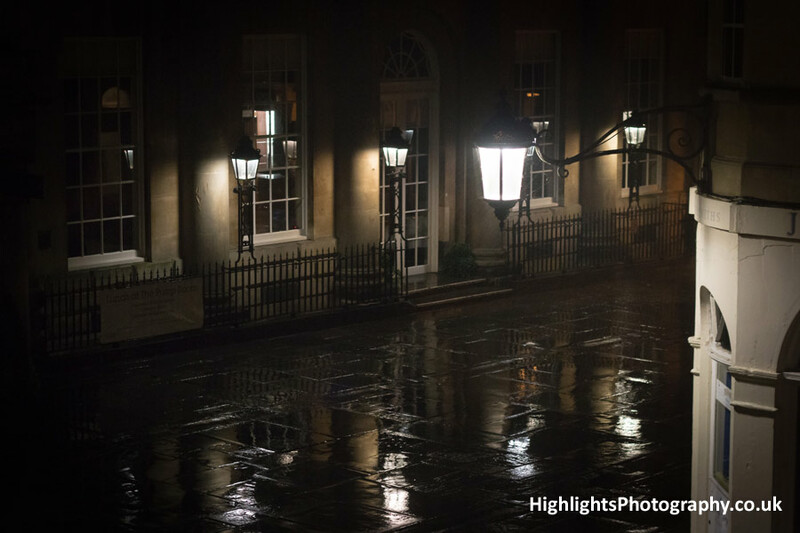 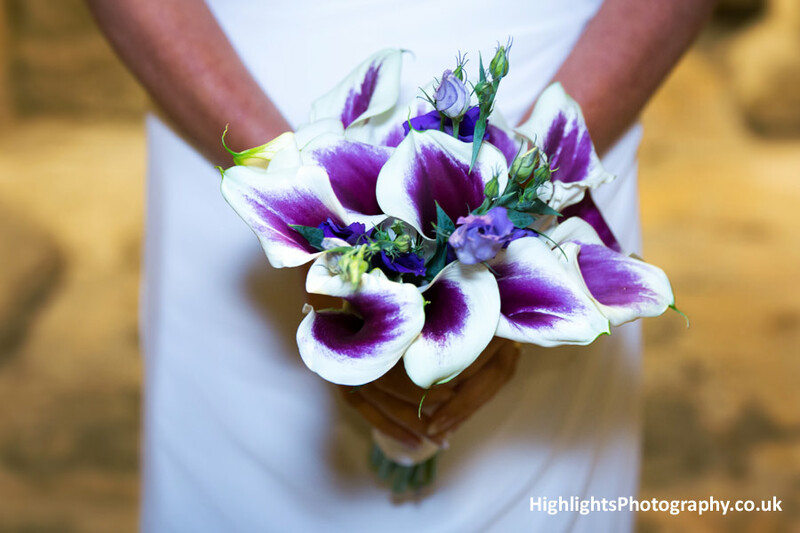 Weddings in Bath are always magical, so if you are searching for a good photographer then please check us out here at Highlights Photography. Have you seen our Wedding Photography Collections and Prices? 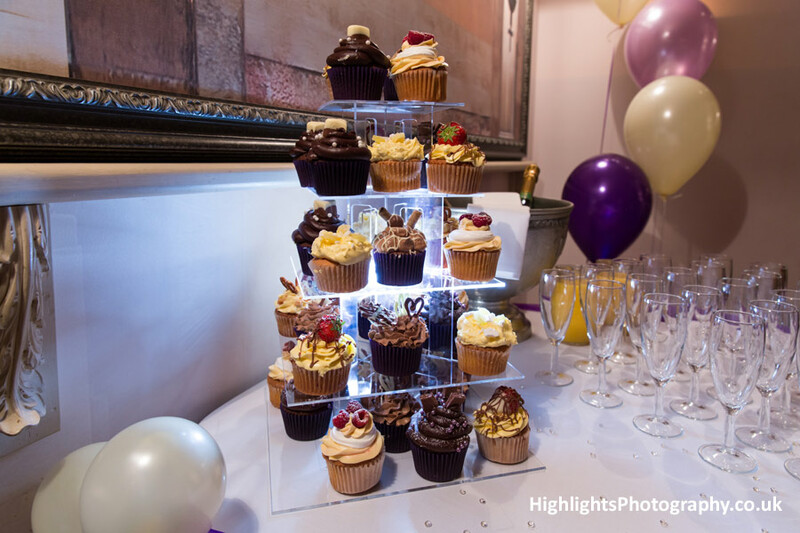 If you like our style and approach please feel free to give us a call or drop us an email for more information. 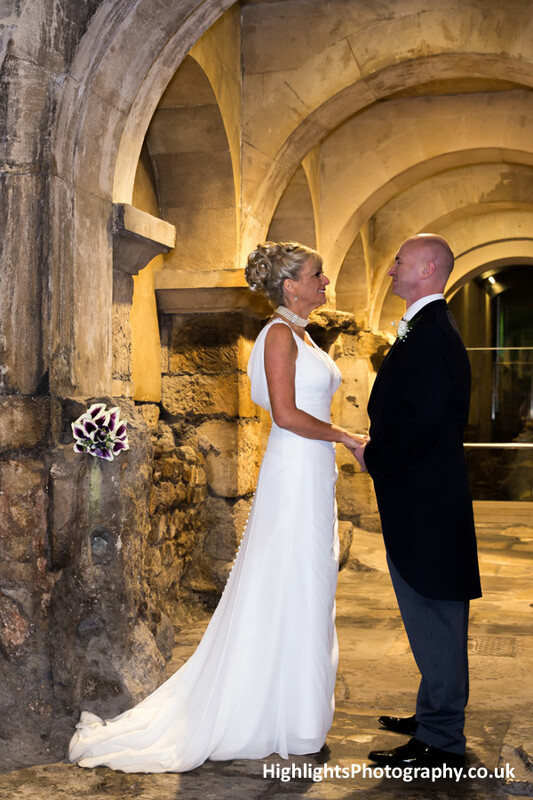 Or have a look at our wedding e-Brochure here. 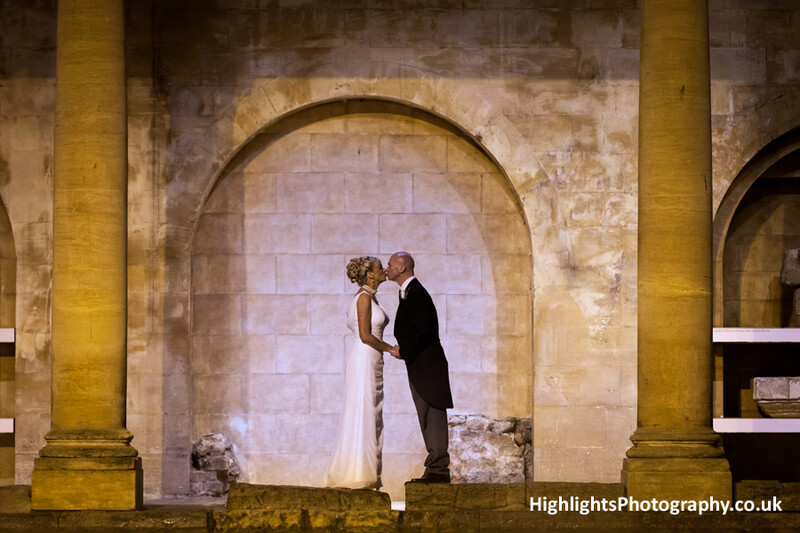 To see the full gallery see here (Password required). The Roman Baths are at the heart of the World Heritage city and dating back approximately 2000 years, make the most magical setting for a drinks reception. 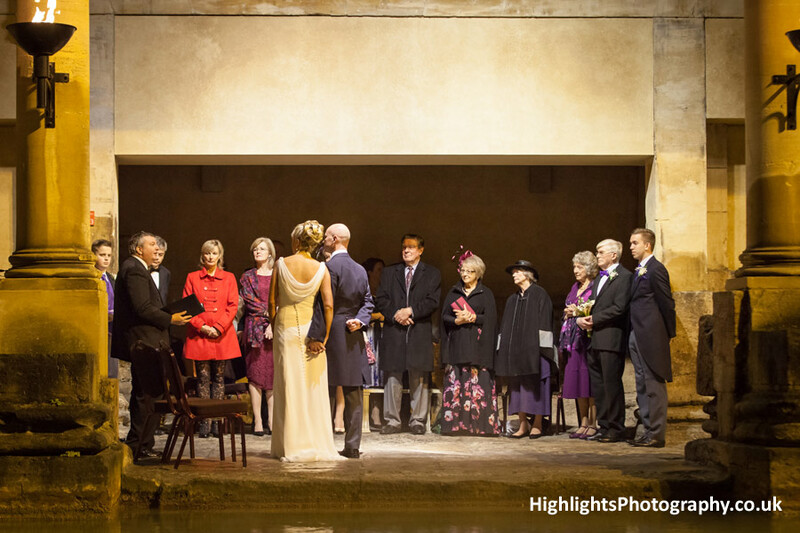 The Baths are also licensed for civil ceremonies and are perhaps one of the most stunning and romantic locations in the country.